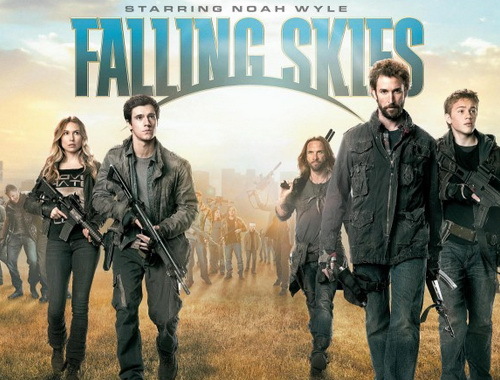 After taking a one week break, TNT’s Falling Skies returned for its second season home stretch with a slight improvement in its numbers. The series pulled a 1.3 rating in the 18-49 demographic (up a tick from two weeks ago) and 3.34 million total viewers. The show has two more episodes for its current season and apparently the official announcement of its renewal slipped through the cracks, but the show will be coming back for a third season next year. Over on Syfy, Warehouse 13 did not improve any from last week as it again posted a 0.6 rating and 1.63 million total viewers. The show is likely getting hammered by the Olympics, though, so its numbers once those have ended might be a better indicator of how healthy it is. Alphas didn’t suffer as much on Monday as it improved its numbers by a tick from last week with a 0.6 rating and 1.38 million total viewers. MTV’s Teen Wolf didn’t suffer too much from Olympic coverage either on Monday as it remained steady with a 0.7 rating and 1.72 million total viewers. And HBO’s True Blood once again won Sunday night among cable shows pulling a 2.7 rating in the 18-49 demo and 4.5 million viewers. Comedy Central’s Futurama slipped a bit to a 0.5 rating. NBC’s airing of the Canadian supernatural drama Saving Hope is on hiatus during the Olympics, but will return once that is over. The series has received a second season renewal by its home channel CTV, but it’s unlikely that NBC will bring it back next Summer because of its poor ratings performance here.